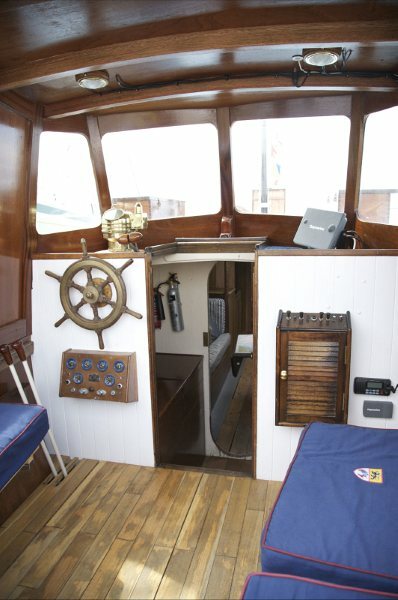 A 1925 TWIN SCREW MOTOR-YACHT and DUNKIRK LITTLE SHIP designed and built by Frank Curtis of Looe, Cornwall. 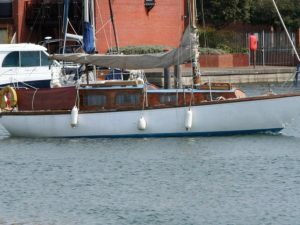 A unique and authenticated Dunkirk Little Ship fully restored throughout by a dedicated owner regardless of cost whilst retaining her twin LB4 12-20hp Alisa Craig 9-15Kw petrol engines which powered her across the English Channel in the dark days of 1940. 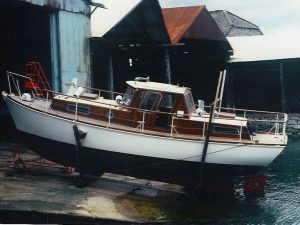 Believed to be the only ‘Little Ship’ with her original Dunkirk engines which are understood to be the last known pair of 1931 Alisa Craig LB4 engines. 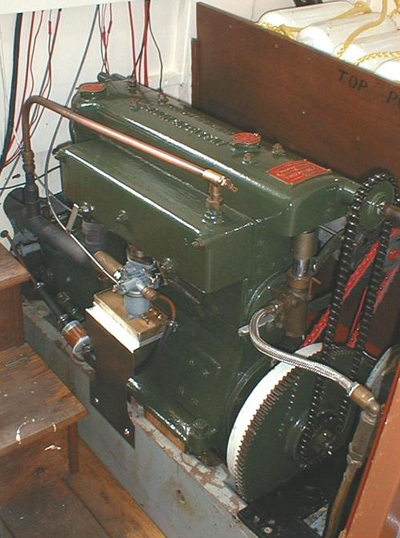 The engines have been completely re-built during the later part of 2010 by Rolls-Royce of Chichester. 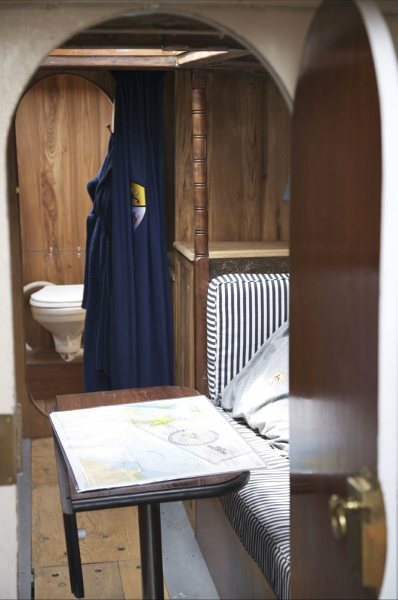 ‘Anne’ has a fully documented history dating back to former owners Brigadier General Sir Frederick Meyrick, Bart. and Commander A F G Tracey R.N. 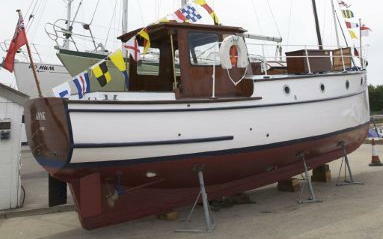 and is included on the National Maritime Museum’s list of small vessels of special importance. ‘ Anne’ is featured in the July 1925 issue of The Motor Boat magazine following her completion for Mr N R Mellor of Helford, Cornwall. 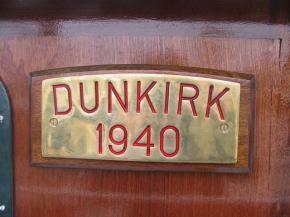 The rescue of 385,000 British and French soldiers from the beaches of Dunkirk averted a great military disaster. Hundreds of motor-yachts like ‘ Anne’ with her shoal-draft were pressed in to service to ferry service-men out to the off lying ships. In 2010 a flotilla of about fifty Little Ships once again made the crossing to Dunkirk to mark the 70th anniversary of Operation Dynamo. About two hundred Little Ships form the Association co-founded in 1964 by television journalist Raymond Baxter. 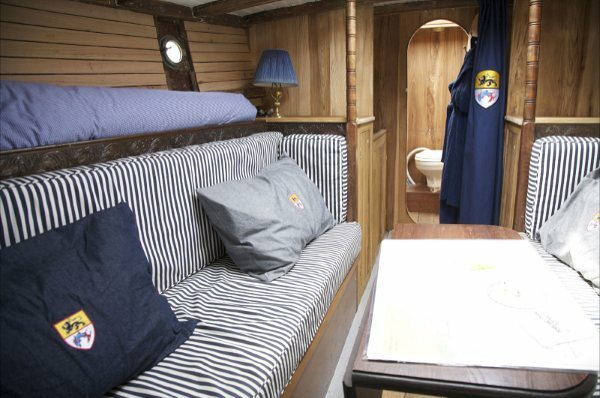 The accommodation offers a spacious saloon with port and starboard upholstered settee berths with additional pipecots if required. 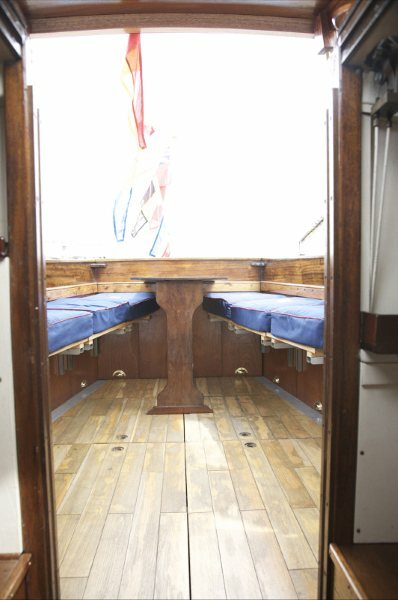 Drop-leaf cabin table and athwartships double berth panels. 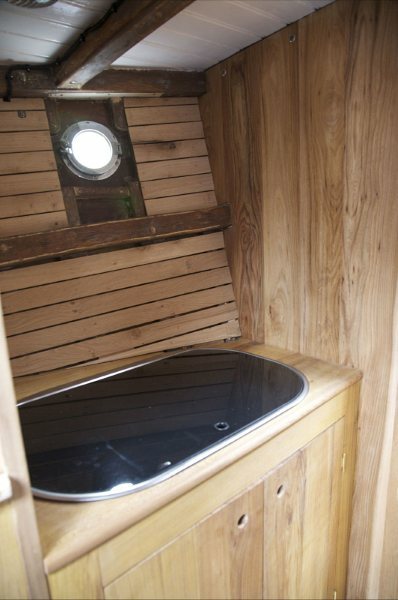 Skylight and bulkhead door to heads compartment with a chemical wc and washbasin. 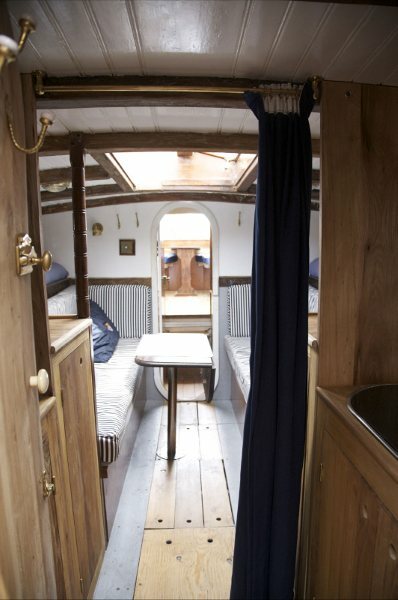 Galley with two burner gas cooker having oven and grill. 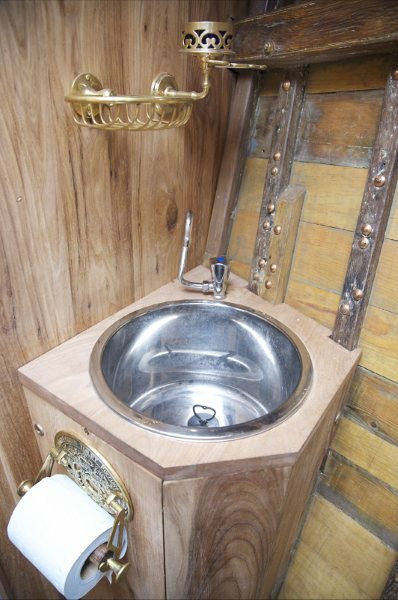 Stainless steel sink unit, coolbox and lockers. 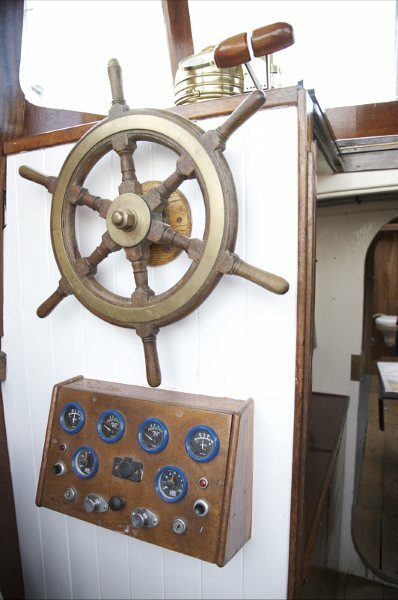 Wheelhouse with port wheel steering and instrumentation. PVC side and rear canopy over cockpit area with seating and table, providing additional berths if required. 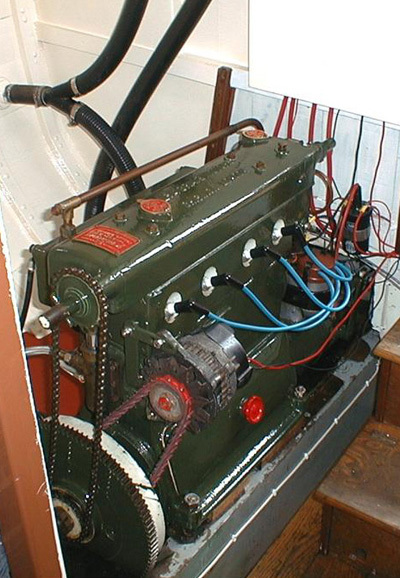 Folding mahogany engine casings housing the fully restored (2008) Alisa Craig petrol engines. Raw water cooled, 13″ bronze props. Two 8 gallon gravity feed fuel tanks. Consumption about one gallon per hour. 8 knots maximum speed. Two batteries, 240 volt shore power and re-wired throughout. Fishermans Anchor, chain, warps and fenders. 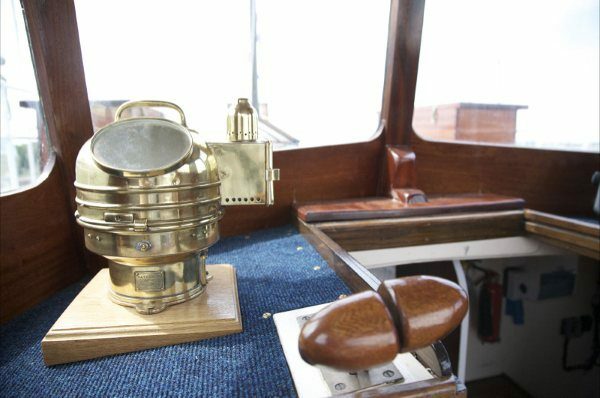 Navigation and steaming lights. 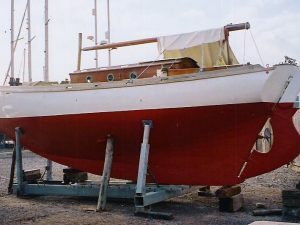 Four life jackets, life-ring, 13′ deck stepped pine signals mast. 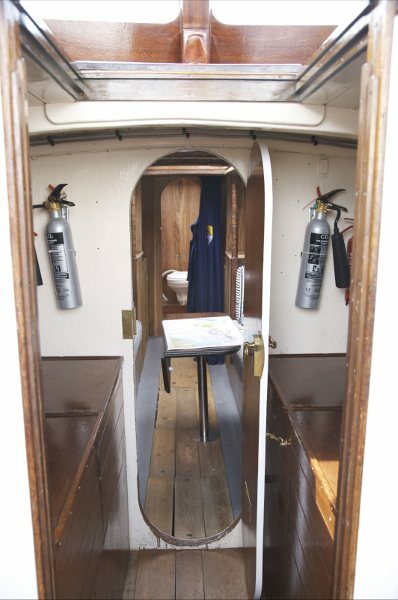 Two fire extinguishers and two bilge pumps. ‘Anne’ offers a discerning collector an extremely rare opportunity to acquire a totally unique and historic Little Ship. 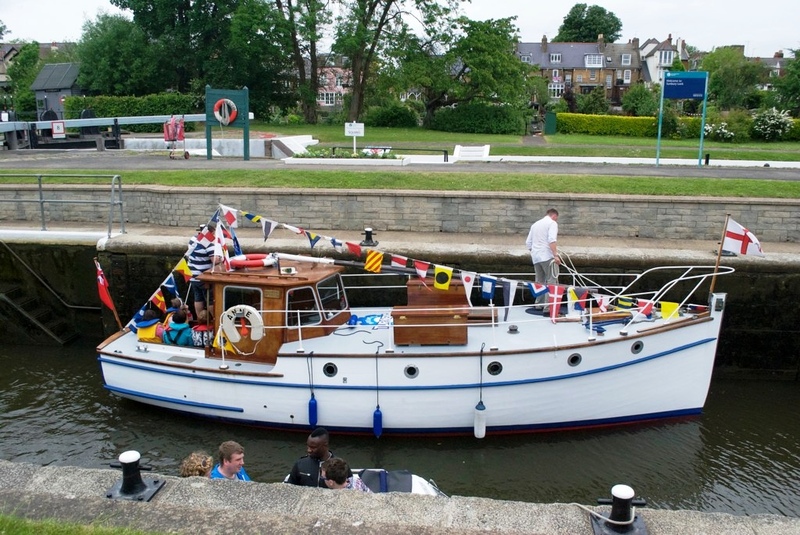 The Association of Dunkirk Little Ships (ADLS) meet on a regular basis and offer support and encouragement to help preserve the surviving Little Ships. 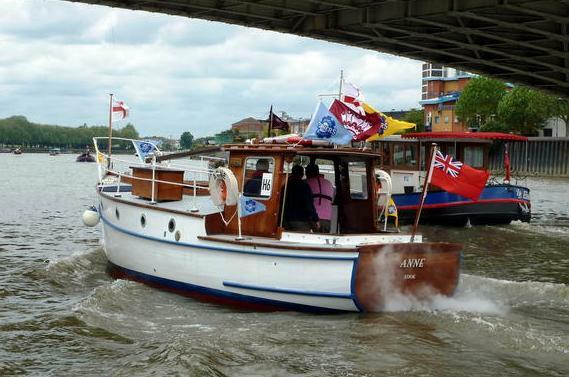 ‘ Anne’, is currently stationed on the River Thames and participated in the May 2010 return to Dunkirk, the first time she has returned since the evacuation in 1940 yet still powered by her original petrol engines. Current Boat Safety Scheme Certificate. 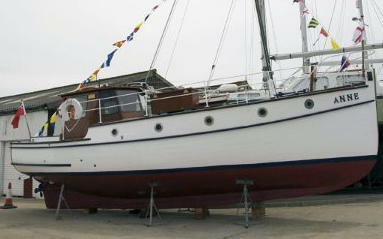 Professional exterior re-paint and varnish Spring 2012 in time for the Diamond Jubilee Pageant. Engines fully serviced by Rolls-Royce engineers and extensive new safety equipment for the Pageant weekend. 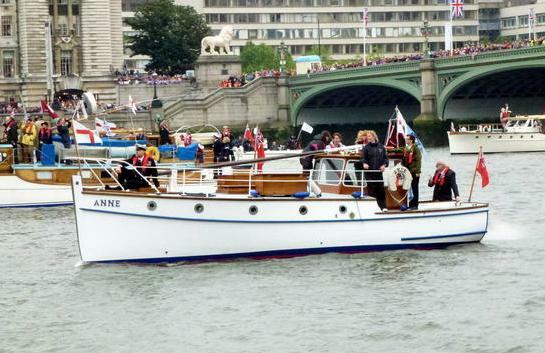 Anne was one of the lead boats in the Queen’s Diamond Pageant.